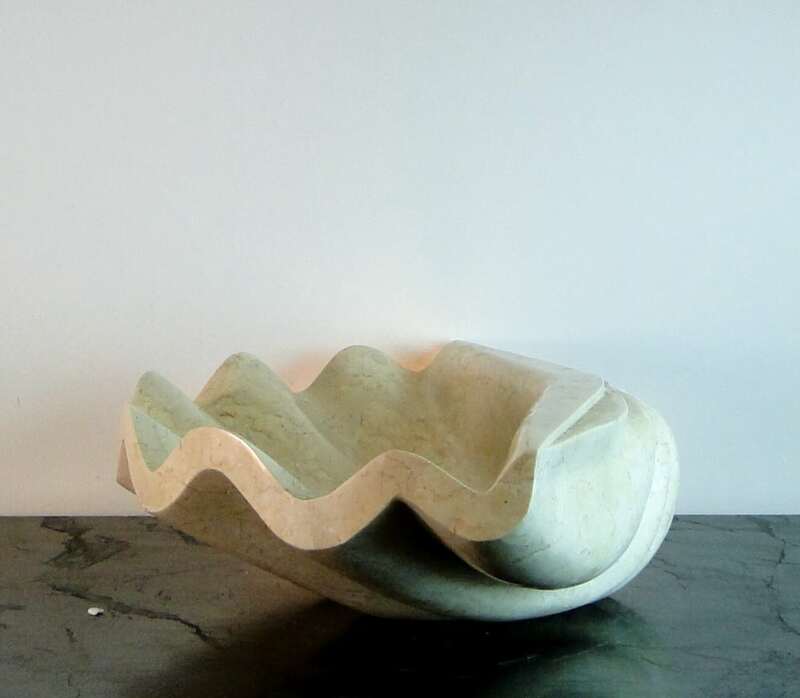 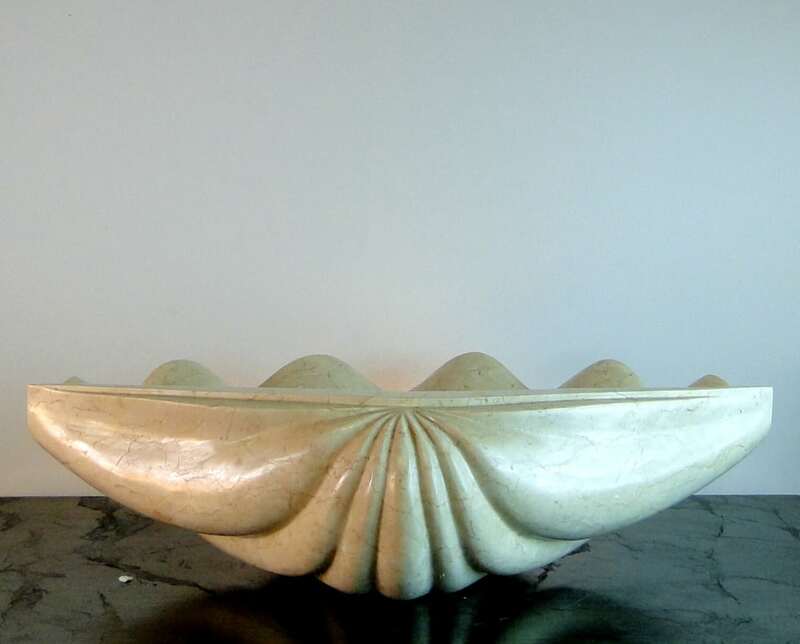 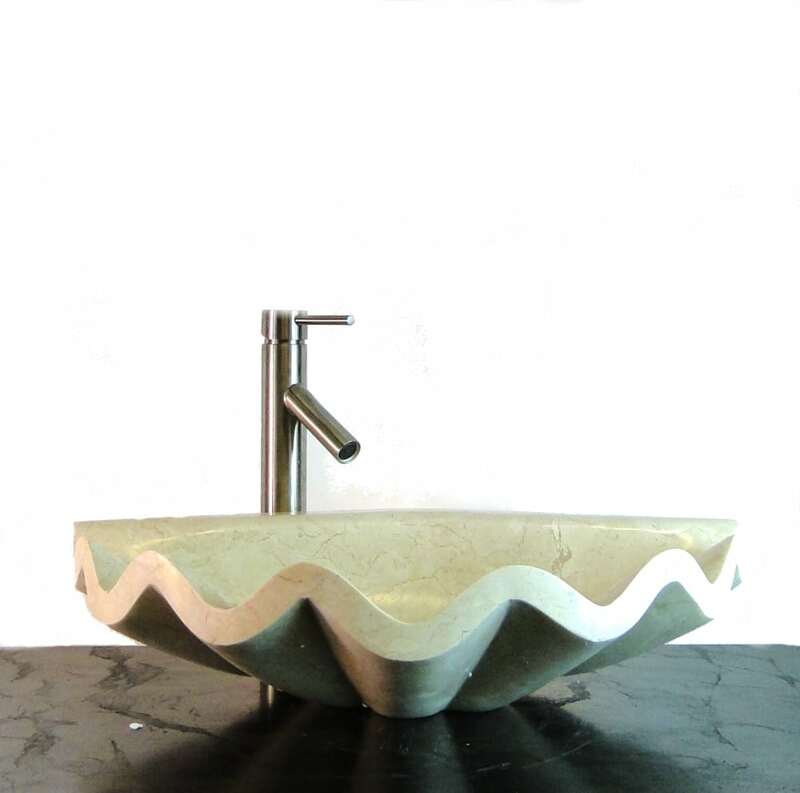 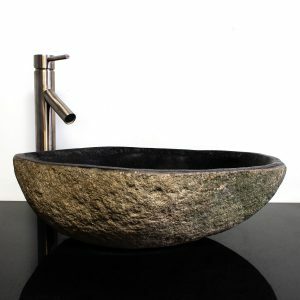 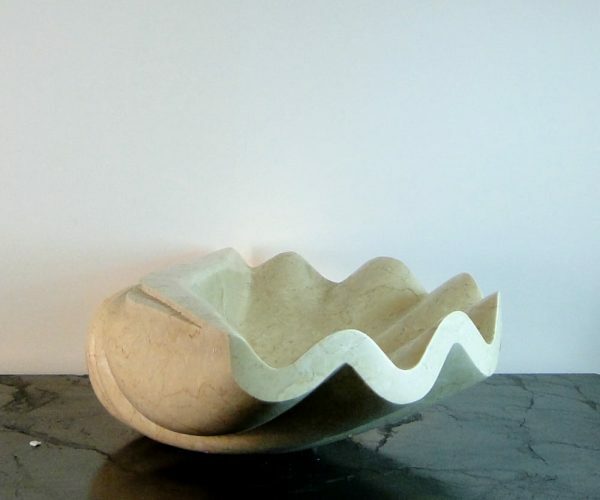 Beautiful vessel sink in the shape of sea shell! 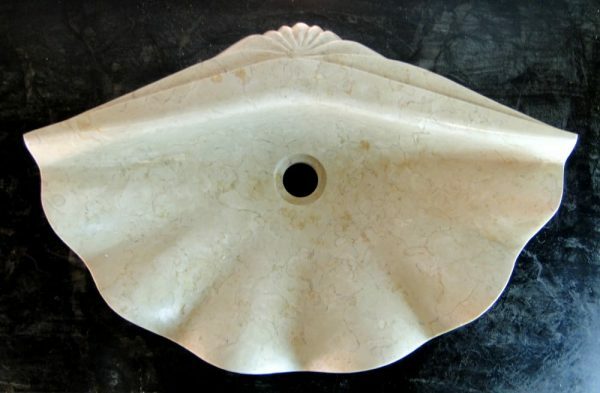 Bring the tranquillity of the Ocean to your home. 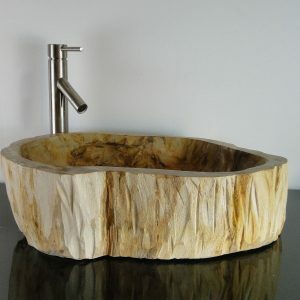 and unique addition to any home! 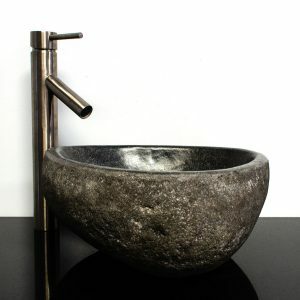 This is just the vessel, faucets are not included. 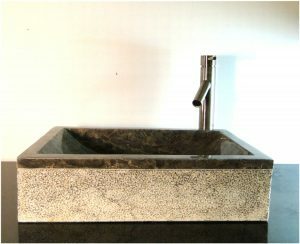 All fit 1 1/4″ standard sink drain.